Celebrate all occasions with Gulab Jamuns. 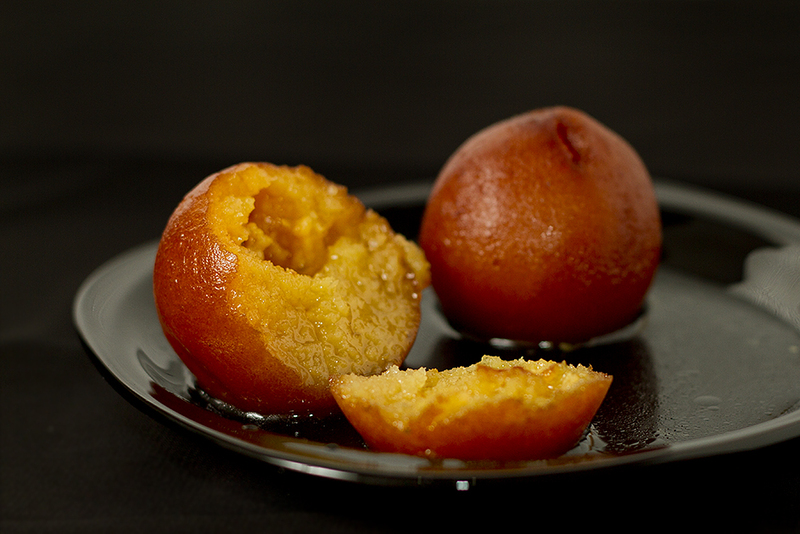 No festival is complete without the sweet syrupy goodness of Gulab Jamuns. It is, in true sense, the Raja of all Indian Sweets. You actually don’t need a reason to make or eat Gulab Jamuns or GJs as we called them. I still remember going Munirka from JNU campus just for a hot plate of GJs, sometimes late in the evening especially when we got bored of the Alu Badi sabzi of IIMC mess. I still remember that melt in mouth goodness and nothing, not even my homemade Gulab Jamuns can match that taste. Perhaps because it was also the taste of freedom. Crumble the Khoya carefully so that it is smooth. Add Maida and milk powder to make it a smooth dough. More smooth the dough the better finish you will get. If you feel the dough is going to dry, add a few Tsp of milk but this is optional. Grease your palm with some ghee and make equal sized smooth balls of the dough. About 10 to 12. See to it that there are no cracks on the balls. On the stove top, keep sugar and water for boiling. The sugar should get dissolved and the syrup should thicken a bit The syrup should be a single string syrup or ek taar ki chashni. But don't bother too much about this. Just let it simmer for 5-7 minutes. Add cardamom powder to the syrup and switch off the stove. In a broad vessel, pour ghee, let it heat up and fry the prepared dough balls. As they turn brown, remove it from ghee and dip straight into the prepared sugar syrup. Let the Gulab Jamuns sit in sugar syrup for a while. I usually keep them immersed for atleast 30-40 minutes. The idea is that the syrup should get properly absorbed. Serve hot or cold!